Our mission is to provide a service to those who are at-risk or homeless in our community through our case management program that values relationship building and resource support. We understand that people who are experiencing a crisis can do better for themselves when they know they have someone who cares and looks to understand them while being connected to supportive resources that enhances their livelihood. As we walk with them in their journey, we help lead them to self-sufficiency and housing solutions. Our Case Manager Volunteer do an intake with clients to gain the proper information to assess their causes of homelessness, find solutions for their basic needs while connecting them to resources and services that lead to earned income and housing. Our goal is to get people from Point A of where they are now to Point B of reaching their housing goals, walking with them in their journey in between. We value building relationships and an understanding with those we assist. 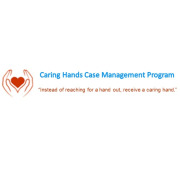 Would you recommend Caring Hands Case Management Program?